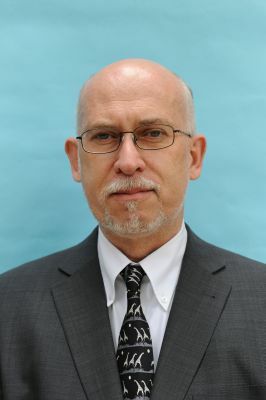 Jacques Trouvilliez is Executive Secretary of the Agreement on the Conservation of African-Eurasian Migratory Waterbirds (AEWA). BONN, Dec 4 2014 (IPS) - So great are the contrasts between the frozen empty expanses of the far north and Africa’s baking deserts, steamy rain forests and savannahs that any direct connections between the two seem far-fetched – if they indeed exist at all. 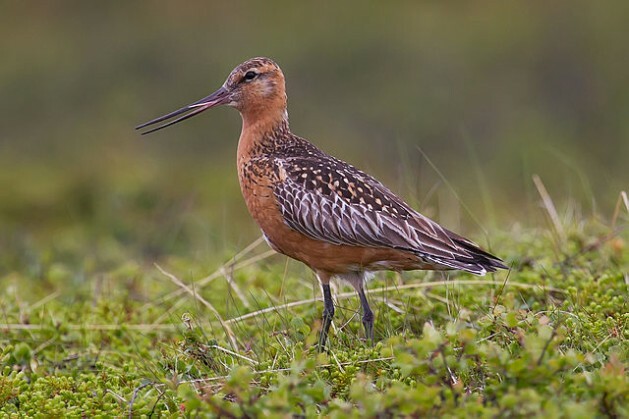 In fact, migratory birds provide an environmental tie linking the Arctic and Africa and are the reason why the U.N. Agreement on the Conservation of African-Eurasian Migratory Waterbirds (AEWA) and the Conservation of Arctic Flora and Fauna (CAFF), the biodiversity working group of the Arctic Council, have entered a commitment to cooperate. The Arctic Council is holding its first Arctic Biodiversity Congress in Trondheim, Norway and far from being of marginal interest to AEWA, its deliberations over the fauna inhabiting the regions around the North Pole could hardly be more relevant. Following publication of the Arctic Biodiversity Assessment in May 2013, progress is being made in elaborating a strategy under the Arctic Migratory Birds Initiative (AMBI): a concrete example of where we can collaborate with practical work on the ground. The habitats could hardly be more different and the distances between them are large, but the waterfowl, shorebird and seabird species – the predominant birds of the Arctic – find the conditions they require at different times of the year in the various habitats of the world. The birds have adapted to develop the capacity to make their often arduous journeys from their Arctic breeding grounds to wintering sites and back. These wintering sites can be in Europe – but in some cases they even lie as far as in Southern Africa, as is the case for the Red Knot. Approximately 200 bird species spend time every year in the Arctic, but for many the Arctic provides their only principal breeding site. Of the 255 species and populations covered by AEWA, a large proportion breeds in the far north but heads south in search of more plentiful food or milder weather. Two of the most seriously threatened species listed under AEWA – the Lesser White-fronted Goose and the Red-breasted Goose – breed in the Arctic. The habitats could hardly be more different and the distances between them are large, but the waterfowl, shorebird and seabird species - the predominant birds of the Arctic - find the conditions they require at different times of the year in the various habitats of the world. The conditions ideal for breeding waterfowl are too hostile for all but the hardiest of people. This has been a blessing for the animals concerned, as limited human interference has left their habitats relatively unscathed by the encroachments witnessed in other regions, with higher – and growing – numbers of people, converting land to agriculture, building towns and exploiting natural resources. The Arctic’s human inhabitants have always had a deep respect for nature – its bounty, beauty, and balance. One problem the Arctic does not face is the indifference of its indigenous peoples. Newcomers, however, can be a different matter. Warmer temperatures have opened the region to oil and gas exploration and sea channels are becoming navigable. This increases not only the risks of pollution, but also human presence, affecting the delicate balance that has persisted for centuries. The unique and harsh climate of the Arctic makes it difficult for exotic species to gain a foothold, although the range of some is creeping northwards as temperatures rise. For example, the Red Fox is displacing its Arctic cousin by outcompeting it as a predator, which might yet prove to have serious consequences for its prey. This is just one of the effects of climate change, but this, combined with the rate and extent of thawing tundra, melting sea-ice and phenological changes are leading to unpredictable consequences in the region. It is folly to imagine that climatic disruptions on other continents have no repercussions closer to home. Despite the apparent lack of geographic connection, the AEWA African Initiative endorsed at the last Meeting of the Parties in La Rochelle in 2012 and AMBI are in fact ideal partners, acting as a bridge spanning the geographic divide and facilitating the international cooperation so fundamental to the conservation of migratory species. Nature conservation and the sustainable use of wildlife are areas of policy that need the support and commitment of local communities if viable solutions are to be found and implemented effectively. Lessons learned in one region can be adapted for application in others, and the way local communities in the Arctic manage and sustainably use their wildlife resources provides examples that could prove to be models that others might wish to follow. Migratory birds are often called the ambassadors of biodiversity, because they provide the link between sites that, on first glance, have little in common but on closer examination share so much. When the great navigators of old sailed into uncharted waters, they began to realise how large the world was. It has taken the age of satellite communication and jet airliners to make us realise just how small it is; something the birds have known for millennia.